As parents our kids often ask us, 'What's the point of maths? ', 'When will I ever use this stuff?' and 'How will maths help me later in life?'. Well, this might be a good way to answer them. These questions, not often asked of other school subjects, indicate that for some children, maths is seen as something belonging only to school classrooms. As parents it is not always easy to respond to questions such as these. Hopefully the answers provided below provide a way to start talking about maths. The questions young people ask about maths often relate to their personal experience of how they found maths in school, rather than questions about maths per se. 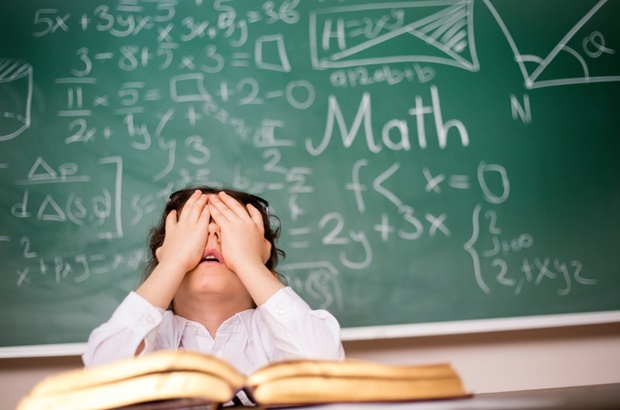 Reports suggest that young people’s negative attitudes towards maths are increasing, even as early as primary school. This is largely due to the maths being taught as a recipe. If we do A then B then C we get the correct answer to a problem we didn’t pose in the first place - and with little understanding of the ingredients. My research indicates that some eight-year-olds already identify as “not being a maths type of person”, with children using words such as “anger”, “sadness”, “hatred” and “boredom” to describe how they feel about maths. Maths in schools is largely skills-based – such as learning how to determine internal angles of shapes or using formulas to determine volume or capacity – rather than a study of what mathematics actually is. Mathematics is a study of patterns and a means of representing and describing the world in terms of quantities, shapes, and relationships. This means that for many students, their understanding of mathematics is completing tasks set by a teacher rather than developing their own understanding of angles or volume or capacity. An analogy I use with university students is that mathematics skills can be likened to playing a piano (keys, notes, strings, hammers). But knowing the parts of a piano does not make someone Mozart. Likewise, knowing facts, formulas, and rules, while very important, do not make someone a mathematician. Broadening the experience of maths beyond the completion of worksheets presents the subject as interesting, relevant and engaging. It also has long-term economic impacts for productivity and employment opportunities. Teachers could look for opportunities for students to use maths beyond the prescribed daily lesson (for example, location and orientation activities while playing sport, or patterning while learning music, or using perspective in visual arts). Parents could encourage their children to think about and use maths in every day contexts. For example, when travelling, children can look for patterns in car number plates (digits that are consecutive 3, 4, 5 or prime 2, 5, 7 or square 144). They might predict which routes are quickest while using updated data on mobile devices, or determine how much of their favourite TV shows are devoted to advertising. What is needed in our conversations with young people is a recognition that we use maths every day - perhaps without noticing it. For example, when navigating, determining likelihood, measuring, estimating, or when listening to the statistics offered by politicians, salespeople, or advertisers. Because the focus on maths in schools is on skills, rather than solving authentic problems, young people are discouraged from further study in this area. Between 2000-2014, the percentage of students studying Advanced Mathematics fell from 11.9% to 9.6% and Intermediate Mathematics from 25% to 19.1%. A common misconception is that only a select handful of occupations use maths. But most occupations (for example, nurses, pilots, fashion designers, builders, journalists, truck drivers) use maths every day, often solving problems collaboratively. Such skills are not assessed in international tests such as Trends in International Mathematics and Science Study (TIMMS) or Programme for International Student Assessment (PISA), and never will be due to the narrow nature of these tests. Also read: Mathematics: Let's apply 21st century thinking to maths education! So what is the point of maths? Next time your child asks what is the point of maths, my answer would be that maths helps you to understand why things happen the way they do (why presents cost more at Christmas); predict what might happen in the future (using probability to work out how likely it will be that my favourite toy character will appear in a box of cereal); or solve puzzles to assist the heroine unlock the next level in the latest video game. Which responses have you used in the past to answer the 'What is the point of maths?' question? Tell us by emailing to chatback@parent24.com and we may publish your comments.